This is a note-taking and voice-recording app available for Android, iPhone, iPad as well as desktop computers. This is in fact one of it’s greatest features. This application can collect all your information, note and images and sync them across all devices and makes it searchable. There are a number of ways to create notes or collections of notes called notebooks. Your notes can be text, images, or Web clippings, but a premium account (with a monthly subscription) will let you save other file types, too. Dropbox is an online file storage facility which allows you to store your documents, images, folders and any other digital format on the web, ready for you to access from almost anywhere in the world. Simply login via the web interface from any computer to access your documents and files. 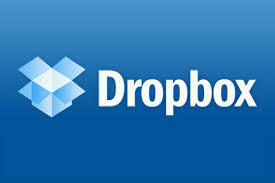 You can also upload items directly to Dropbox using this interface.. The greatest aspect of this utility is the way it allows you to control and set sharing between different users. Dropbox is free for PC and Apple, available as a software or iPad/iPhone app. 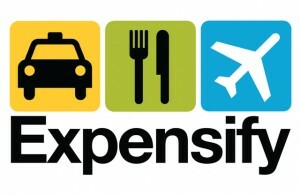 This is an easy to use desktop, iPhone, Blackberry and Android app that allows you to track your expenses. You can snap pictures of your receipts, add written amounts, track mileage and hourly rates to put together professional expense reports. This is a business travelers dream app, it creates tedious expense reports for you and the service is FREE. LastPass is a password manager app which allows you to store all your usernames and passwords in one easy and secure location. The great thing about it is, it LastPass synchs between all your devices which means you will have access to the login info you need at ALL times. LastPass integrates with Chrome, Firefox, Internet Explorer, Safari, and more, so you can continue to use your favorite browser and still get all of the benefits from this app. Weave is a popular and free productivity app. You can ad to-dos with optional notes, due dates, and project tags, as well as view a list of your complete and incomplete to-dos. It’s great as a business application because you can add information LIKE notes, time spent, money made, money spent, and associated projects. Office² HD is a all-in-one office document editor, which lets you view, edit and create Microsoft Word compatible documents, Microsoft Excel compatible workbooks and Microsoft Powerpoint compatible presentations on your iPad. It also integrates with your favourite remote storage providers (like dropbox), giving you access to your valuable data, wherever you are.